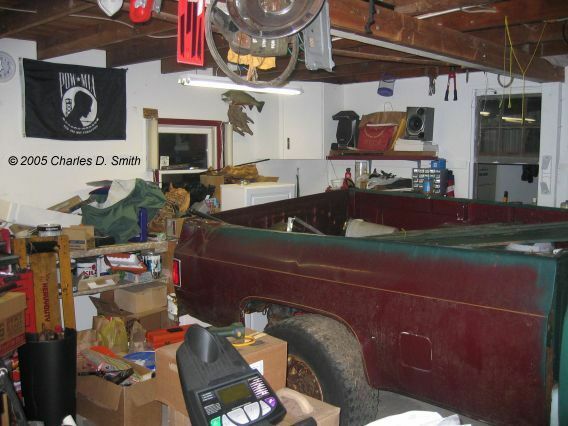 Before I bought my house, I was somewhat forced to sell my 1980 GMC K/25, because I was storing it at a friend's. It was costing me, and they wanted it gone. I had it sold, but before I could go pick it up, my friend set his house on fire. He liked to tinker in the garage like most of us. He was grinding a piece of metal, and the sparks hit a blanket. The blanket had oil and grease on it, and it flared up fast. He ran and got the garden hose, but the fire spread. The hose did nothing, so he got his family out of the house and called 911. The mistake he made is that he did not call 911 IMMEDIATELY. (Besides not having a fire extinguisher in the house). In the end, the whole house and all their belongings suffered smoke damage. They were lucky first because the fire department only took 5 minutes to respond, and second, because the house was built in the 50's and the garage had REAL plaster walls and ceiling, which kept the fire contained to the garage. When I arrived 2 days later to pick up the truck, there was a dumpster in the driveway, blocking it in. I then got the whole story, as I had no idea what happened. It took them from October to March to finish repairs. 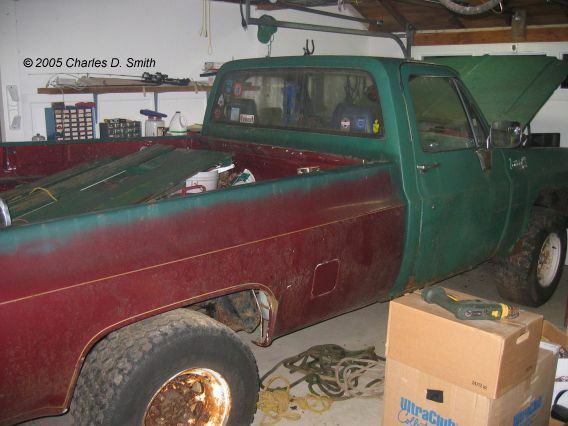 So, now that I have a house with a 3 car detached garage, I got the 1980 GMC here, and now I will restore it. I am not sure how far I am going to go at this point. I would like to do a frame off. Like I said, I just bought a house, and my wife is due with my son any day now.... While it was at my friend's, a tree fell on it, and crushed one corner of the bed pretty badly. It was a toss up as far as restoring it. The main reason I am doing it is that it is just so damn cheap to do. 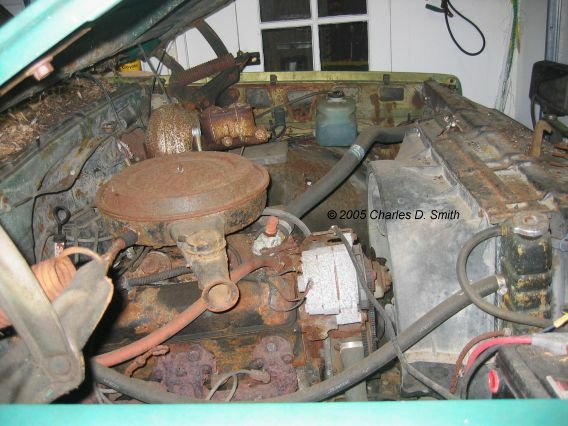 The motor is a Jasper, and only has about 20,000 miles on it, and the trans was rebuilt about 15,000 miles ago. I had the bed off it in 1996. Now it needs fenders, inner fenders, rockers, cab corners, floors, floor supports, radiator support, and hood. It is going to be a BIG job fixing the bed, but I will cross that bridge when I come to it. When I got the truck here, it had no brakes, and the right rear tire has a slow leak. The tire always had a slow leak. I mean since I got the truck in 1994. Same tire, same leak. I got a set of stock 10" wheels and decent tires on them, that I will probably replace the existing 33x12.5-16.5's with. I do like the way the truck looks with the 33's on it, but the 16" tires and wheels were free. You can see the bed damage. 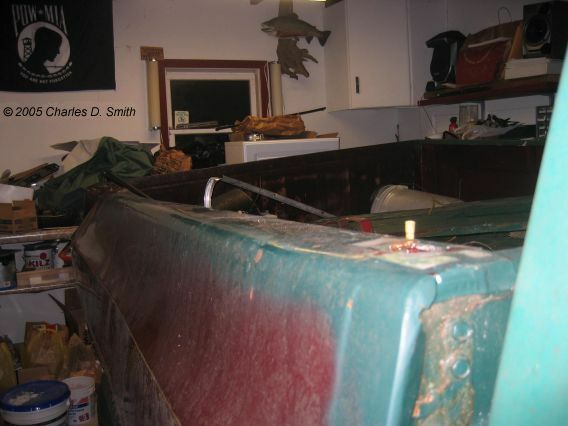 IF you are doing a restoration, you MUST check out Eastwood. Northern Tool - Hand tools, power tools, shop supplies, hoists, small engine parts, hydraulic supplies.